The Oak Point Docks are an extension of South Bass Island State Park. Here, transient boaters can find anchorage for day and overnight visits. This one and a half acre park is the smallest in the Ohio Park’s system. The location of these docks is ideal. Furthermore, the unimpeded views are outstanding. Expansive views of Perry’s Victory and International Peace Memorial and The Ohio State University Stone Lab awaits. These docks are on Bayview Avenue, just down the street from the Boardwalk Restaurant. Twenty docks are at this facility that’s on the Northwest section of the island. On the North side of the Park, there is a small area that is suitable for fishing. Also, the grassy area for picnicking is a lovely place to enjoy lunch. Restroom facilities and water fountains are near the entrance to the park. A U-shaped driveway navigates through Oak Point State Park. Each Sunday in season, this route is taken by Skip Duggan’s Antique Car Club. Those wishing to watch the parade with an impressive view should stage themselves here. South Bass Island State Park is the parent to this small park. Here, guests can find a wide selection of amenities and features. First, the expansive lakefront beach provides a relaxing space to take it all in. Shelter houses await for a memorable family reunion, giving guests seating and cover. The capacity is approximately 50 people. The lakefront playground is always a hit with the little ones. Also, for guests wishing to stay overnight, the park offers various camp sites. Additionally, they have four cabins available for rent. These cabins are on a hill, giving guests breath-taking views of Lake Erie. Furthermore, the cabins can sleep up to 6 guests and come complete with a kitchen. 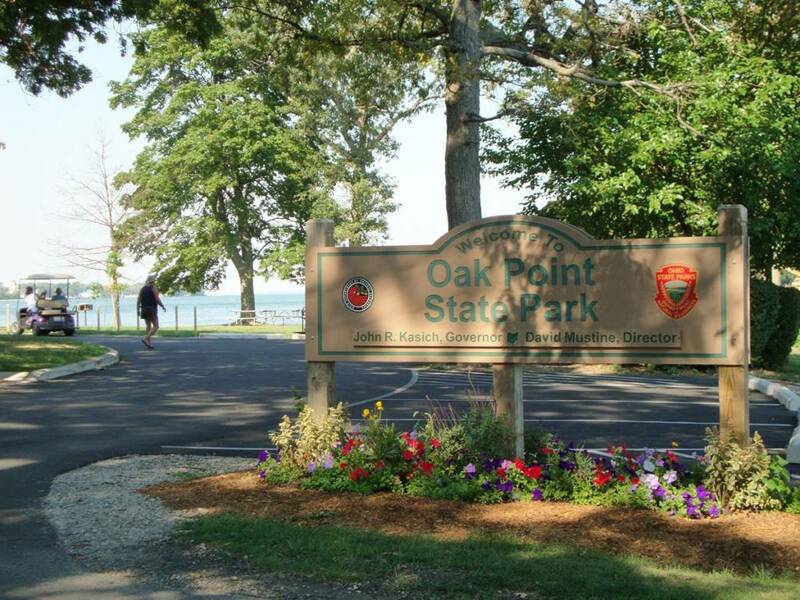 So, for docking near the downtown Put-in-Bay area, consider Oak Point State Park. Due to it being just outside the main docks, oftentimes this option is overlooked. However, you are now in the know and can consider this option. Happy sailing!